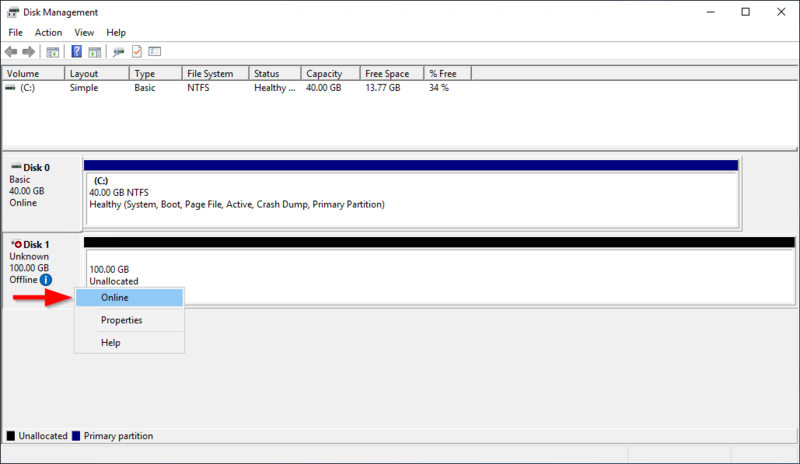 After you attach an Amazon EBS volume to your instance, it is exposed as a block device, and appears as a removable disk in Windows. You can format the volume with any file system and then mount it. After you make the EBS volume available for use, you can access it in the same ways that you access any other volume. Any data written to this file system is written to the EBS volume and is transparent to applications using the device. 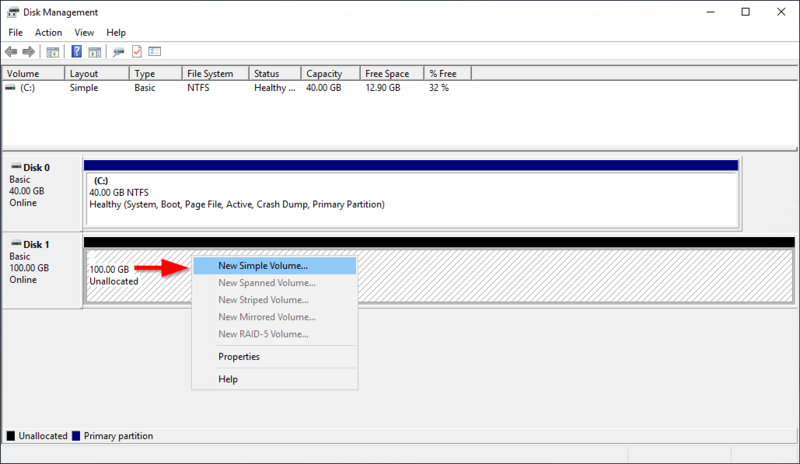 You can take snapshots of your EBS volume for backup purposes or to use as a baseline when you create another volume. For more information, see Amazon EBS Snapshots. You can get directions for volumes on a Linux instance from Making a Volume Available for Use on Linux in the Amazon EC2 User Guide for Linux Instances. You can make an EBS volume available for use using the Disk Management utility and the DiskPart command line tool. Log in to your Windows instance using Remote Desktop. For more information, see, Connecting to Your Windows Instance. On Windows Server 2008, choose Start, Administrative Tools, Computer Management, Disk Management. If you're mounting a volume that already has data on it (for example, a public data set, or a volume that you created from a snapshot), do not reformat the volume or you will delete the existing data. Log in to your Windows instance using Remote Desktop. For more information, see Connecting to Your Windows Instance. Create a new script file named diskpart.txt. Add the following commands to the script file and specify the volume label and drive letter. This script configures the volume to use the master boot record (MBR) partition structure, formats the volume as an NTFS volume, sets the volume label, and assigns it a drive letter. If you're mounting a volume that already has data on it, do not reformat the volume or you will delete the existing data. For more information, see DiskPart Syntax and Parameters.